The Markham Fertility Clinic’s Ultrasound department, Care Imaging, is exclusively dedicated to fertility and obstetric-related imaging. Each patient will have the convenience of having all of their ultrasound exams done at one location including exams for diagnosis, treatment, confirmation of pregnancy and any obstetrical exams ordered by their obstetrician. Care Imaging is owned and directed by radiologist Dr. Roger Stronell who devotes his practice entirely to obstetrical and gynecological ultrasound. Our sonographers are a team of highly trained professionals who are passionate about providing our patients with the best quality exams in a friendly and welcoming environment. They have an extensive knowledge of fertility, gynecology, and obstetrical ultrasound and continue to educate themselves on the latest advances in their field. Each sonographer is registered with the American Registry of Diagnostic Medical Sonographers ( ARDMS )and/ or Canadian Association of Registered Diagnostic Ultrasound Professionals( CARDUP ). Dr. Roger Stronell graduated from McGill University Medical School, and then became a specialist in diagnostic imaging at the University of Toronto, with a Fellowship in Diagnostic Radiology from the Royal College of Physicians and Surgeons of Canada. Catherine Kirkhner is an ARDMS and CARDUP certified sonographer and the MFC Ultrasound department supervisor who coordinates the day-to-day activities of the rest of our sonographers and clerical staff. Anna Tulbovich is a sonographer with medical background. She is certified in diagnostic ultrasound by ARDMS. Anna Waisberg is an ARDMS and CARDUP registered sonographer with over 5 years of experience in obstetrical and gynecological ultrasound. Kerby Stavropoulos graduated from McMaster University and Mohawk College’s joint Medical Radiation Sciences program, specializing in Ultrasonography in 2011. She is registered with both ARDMS and CARDUP. Victoria Thompson holds a BSc in Biology and certifications in both Nuclear medicine and Ultrasound. She is currently pursuing her Master’s Degree in Education. Anna Soeiro is our receptionist with over 20 years of experience performing clerical duties in a busy medical environment. 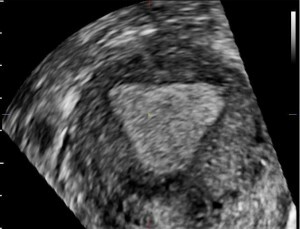 An invaluable assessment of the female reproductive tract is a pelvic ultrasound and sono-hysterosalpingogram (sono-HSG). 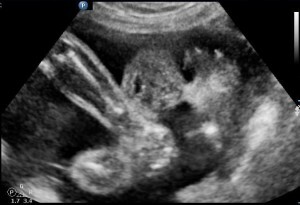 The 3-D ultrasound allows for imaging of the woman’s uterus and ovaries. Sterile normal saline is injected to allow for imaging of the uterine cavity. This test will show abnormalities of the uterine shape, which may interfere with embryo implantation. 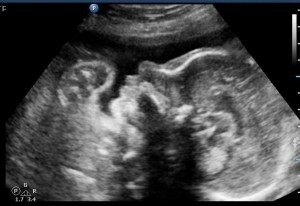 The most common uterine abnormality is a called a “uterine septum”. Research at the MFC has shown that if a septum occupies more than 1/3 of your uterine cavity, it should be repaired. Uterine septum surgery is a simple out-patient day procedure (called a “hysteroscopy”) that can fix the problem. Diagnostic medical ultrasound is the use of high frequency sound waves to aid doctors in the diagnosis and treatment of patients. It can be used to detect a wide range of pelvic abnormalities, which then allows doctors to find the right course of treatment. Ultrasound helps the doctor to monitor the changes that occur in your body during a natural cycle. It also shows how your body responds to medications. This helps to provide you with individualized care and adjustments can be made to your treatment protocol if needed. 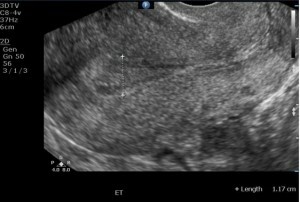 Also, ultrasound can be used to guide the doctor through more invasive procedures such as sonohysterograms, oocyte retrievals, and embryo transfers. 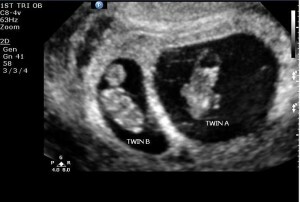 Once you are pregnant, ultrasound can help to show the doctor if the pregnancy is developing normally. Ultrasounds can be performed throughout the entire pregnancy. Pelvic & 3D Ultrasound is performed at the end of the menstrual cycle. 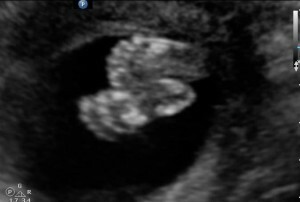 A 3D image of the uterus gives the doctor an idea of the uterine shape. An appointment has to be booked in advance. This examination consists of two steps. The first step requires a full bladder. You will be asked to drink a liter (32 ounces) of water and stop drinking an hour before the appointment time. Once the trans-abdominal examination is finished you will be sent to empty your bladder and then a trans-vaginal examination will be performed. 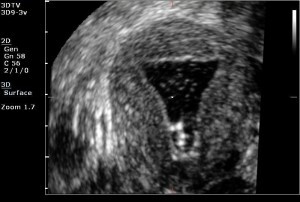 Baseline Ultrasounds are usually performed between days 21 and 25 of a menstrual cycle or occasionally at the beginning of the cycle (depending on the treatment plan). This test shows if your body is ready to accept the new treatment. An appointment has to be booked in advance. This examination consists of two steps. The first step requires full bladder. You will be asked to drink a liter (32 ounces) of water and stop drinking an hour before the appointment time. Once the trans-abdominal examination is finished you will be sent to empty your bladder and then a trans-vaginal examination will be performed. Follicle monitoring is performed between 7AM and 8:30AM during the weekdays as well as on the weekends. For this examination you should have an empty bladder. An appointment has to be booked in advance. This test monitors the changes in thickness of your endometrium (the lining of the uterus where the fertilized egg gets implanted) and the growth of the follicles (fluid filled sacs located in the ovaries that hold the eggs). 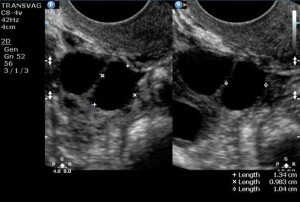 A sonohysterogram is an ultrasound exam that uses sterile saline to separate the front and the back walls of the endometrium (lining). This enables the doctor to evaluate the inside of the uterus. The doctor will insert a speculum (the same instrument used during a PAP smear) to visualize the cervix. Then the doctor will introduce a small catheter through the cervical opening. On the end of the catheter there is a tiny balloon that must be inflated to keep the catheter in place. This balloon acts as a seal so that fluid injected will not escape. This usually causes menstrual-like cramping. When the catheter has been successfully placed, the speculum will be removed and the ultrasound probe is introduced to check the balloon placement. At this point the saline is injected into the uterus and you will likely experience more menstrual-like cramping. To check if the fallopian tubes are open the doctor will push an agitated saline through the catheter. It is important to breathe and stay as relaxed as possible. This test is usually performed between day 5 and day 10 of a menstrual cycle. An appointment has to be made on day 1 of your cycle. You will be given more detailed instructions at the time of booking. 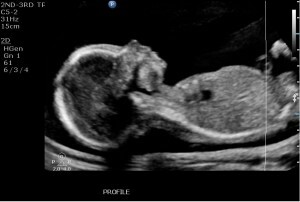 The first ultrasound examination to confirm viability is done at around 7 weeks gestation. You will have to have a full bladder for that test. It also consists of trans-abdominal and trans-vaginal scans. The test shows whether it is a single or multiple pregnancy, whether it is viable, and whether it is developing appropriately. 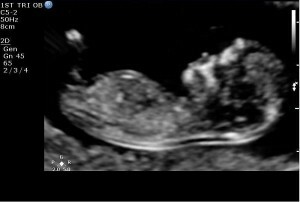 At 12 weeks you will have another ultrasound as a part of the Integrated Prenatal Screening test. It gives the doctor more details about the pregnancy’s development as well as the information used in combination with blood tests regarding the risk of chromosomal abnormalities for the fetus. The test is booked for an hour and you should have a full bladder. Late obstetrical ultrasounds include complete anatomy check, growth check, cervical length check if needed, BPP and any other ultrasounds as per your doctor’s request. Complete anatomy assessment is done between weeks 18 and 22 weeks. It takes at least an hour to visualize all the anatomical structures of the developing fetus. It also includes an endo-vaginal examination to check the cervical length. This test does not require full bladder. BPP or Biophysical Profile score assessment is usually done in the third trimester. 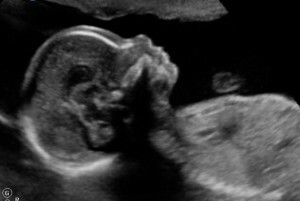 It checks several parameters to make sure the fetus is not in distress. No special preparation is needed, although it is recommended to eat or to have a snack before your appointment.